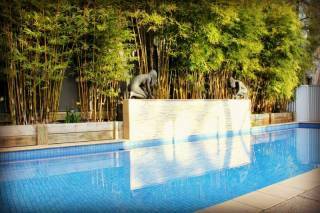 Stay four nights midweek from only $450 for two guests. Nights included range from Sunday to Thursday. 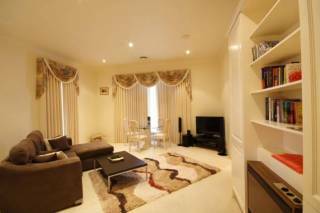 Echuca Moama Holiday Villas are beautiful modern two & three bedroom units. As a small block of seven, we are the perfect choice for families and couples, as well as retirees. Located in Moama, just across the bridge from Echuca, the villas are only 200m from the River and five minutes drive from the heart of Echuca. 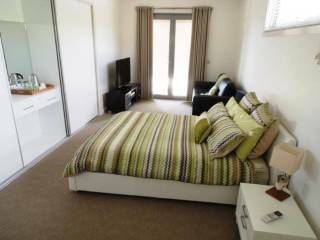 We are also just 450 metres from the Moama Bowling Club. After a picturesque and easy stroll through Horseshoe lagoon and across the bridge, you’ll find yourself in Echuca’s main shopping strip. With plenty of shops and restaurants to choose from, enjoy exploring all that this historical town has to offer. Enjoy the peace and quiet of being near the Murray, strolls into town for a coffee or breaky, a spacious villa with everything you need and no hustle and bustle!! Why stay in a motel when you can enjoy all the comforts of home (and more!) for the same price? Whether staying for a weekend or a week, Echuca Moama Holiday Villas are the perfect river-side getaway. We have seven self contained villas on site. Six two bedroom villas can sleep up to four guests in each and one three bedroom which can sleep up to six guests. All of our villas are ground floor units. The layout of our property is a U shape, with four villas facing Murray St (Villas 4, 5, 6 & 7). Villas 1 (3brm) 2 & 3 all have private rear courtyards. The courtyards of Villas 2 & 3 are interconnecting. Our villas can be hired exclusively. We can sleep up to 30 guests – perfect for family groups, reunions, wedding groups or corporate accommodation. Terms & Conditions One night stay bookings require the full payment as deposit. All other bookings require a $150 deposit. Cancellation policy Please note: if you cancel your booking within four weeks of arrival your deposit is forfeited. If you cancel within 7 days the full amount of your booking is charged unless we can re rent the villa. 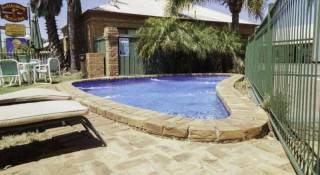 Echuca Moama Holiday Villas has a strict no party policy. We cannot accept pets, sorry! We do not allow any business of any kind to be conducted at our villas. We understand that with everyone leading such busy lives, things can crop up and change your holiday plans! If this happens, we ask you to contact us as soon as possible. The more notice we have, the more chance we can re rent your villa. Upon booking, we ask for a 25% deposit (or one night stay, whichever is greater). If your booking is cancelled 2 or more weeks out from your arrival date, we will be happy to offer a credit for your deposit if your villa can be re rented. If we cannot re rent your villa, you will forfeit your deposit. Please note that if you choose to pay the full amount upon booking, the same conditions will apply to this amount as to a deposit. If you cancel within 2 weeks, do not show up for your booking or reduce your length of stay, the total amount outstanding will be charged to your nominated credit card. We will do everything we can to re rent your villa and any tariffs received will be refunded back onto your credit card (minus any associated costs). One night stays require payment in full and forfeit amount if cancelled. We don’t want you to be out of pocket and will try to assist any way we can! Away from the hustle and bustle of the main streets, we’re sure you’ll agree our villas are in the perfect location! Only a minutes drive over the bridge, 200m from Moama Bowling Club and a quick stroll to the Murray, enjoy the convenience of having everything at your fingertips while relaxing in our peaceful surrounds.